‘C’ Wrap is a simple yet highly effective concept, it has been designed to offer users a combination EMC/Environmental seal or gasket which can be fitted in seconds with no special tools or fixtures and doesn’t require the special terminations associated with products like Knitted wire. It is available in a wide range of widths and thicknesses complete with variable fabric widths to accommodate knife edge and flange configurations. It can be supplied in roll, strip, and one-piece gasket and ready to fit door/panel kits, and is ideal for use in conjunction with our proprietary conductive foil making system, Bake & Peel. 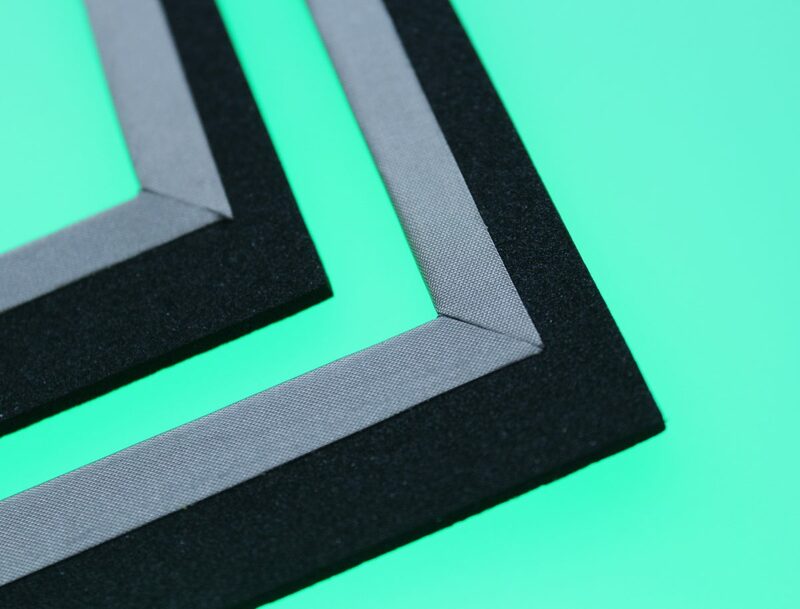 The design utilises the known environmental sealing abilities of closed cell sponges such as Neoprene, Silicone and EPDM, coupled with the shielding qualities of Metallised fabric. In existing applications we are achieving environmental sealing to IP68, whilst averaging over a 100dB shielding rating. This and the ability to provide this product using UL94 V-0, Food quality and, when the need for a high temperature solution arises, Silicone, makes ‘C’ Wrap a truly revolutionary product. We believe ‘C’ wrap to be possibly the best EMC/Environmental solution on the market today, which may be no small claim, but if your still not convinced there is still one further advantage, and that’s its cost, starting from less than £1.00 a metre.